R.J. says: This is the matriarch of the Hardwoods family in Buffalo Springs, Kenya, taken while working for Save the Elephants a couple of months ago (summer of 2017). This photo best represents biodiversity for me, as elephants are a part of the landscape. They help to shape the landscapes around them by eating the shrubs and trees, and by germinating the seeds that pass through their digestive tracts. 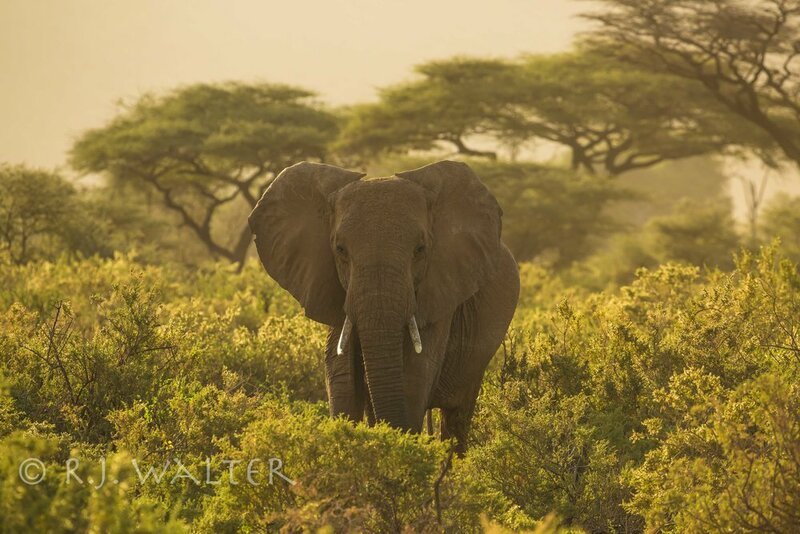 Elephants also help to provide habitats for other species as well, and within this image you not only get the sense of Rosewood (the elephant) in the landscape, but you see the acacia trees in the background, as well as the shrubs in the foreground, and feel her connection to it all.